PLAN AHEAD AND PRE-ORDER FLOWERS! Hand-tied floral arrangements available for yourself or someone special. or brighten a special someone's day with Lace and Lilies hand-tied floral arrangements. Orders placed by 5 pm Thursday of this current week will be available for pick up the following Thursday. We realize we are asking you to plan ahead, but sometimes perfection must wait! Ex. Orders placed by Thursday of this week will be available for pick up the following Thursday. Orders placed on Friday of this week will be available in two Thursdays. Thursday flowers are designers' choice, each weeks' flower arrangements will be unique to what is freshly available – we cannot accommodate special color or flower requests but we assure you our designers work best when given creative freedom. 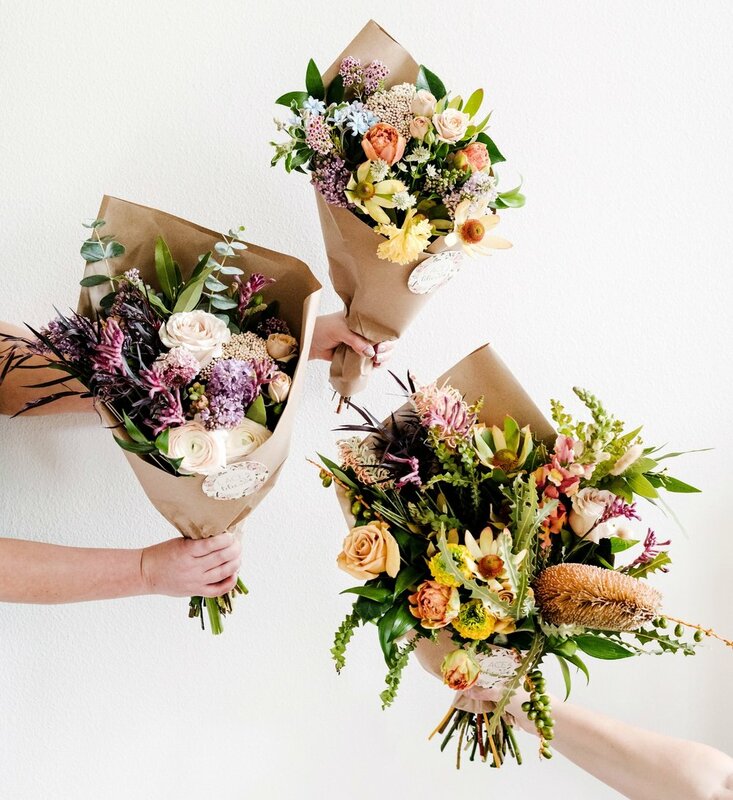 All arrangements will come paper-wrapped, with flower food, care instructions, and an Eco Fresh® wrap to keep flowers fresh until they find their way to a vase of water. Coming soon: Mini cards available for purchase at the time of pickup. *Pictures shown reflect approx. sizes but are not an actual representation of color and flower selection. We can be a bit tricky to find as our entrance is located in the back of the building. Keep a look out for our building sign directing you to our studio on E Thunderbird Dr, which is off of College Ave. Grab a parking space, and head into the S entrance - there will be a sign, and you will see us directly inside!! Vase selection will vary to compliment your seasonal flowers and will exceed the standard flower shop vase expectation - the Lace and Lilies way. 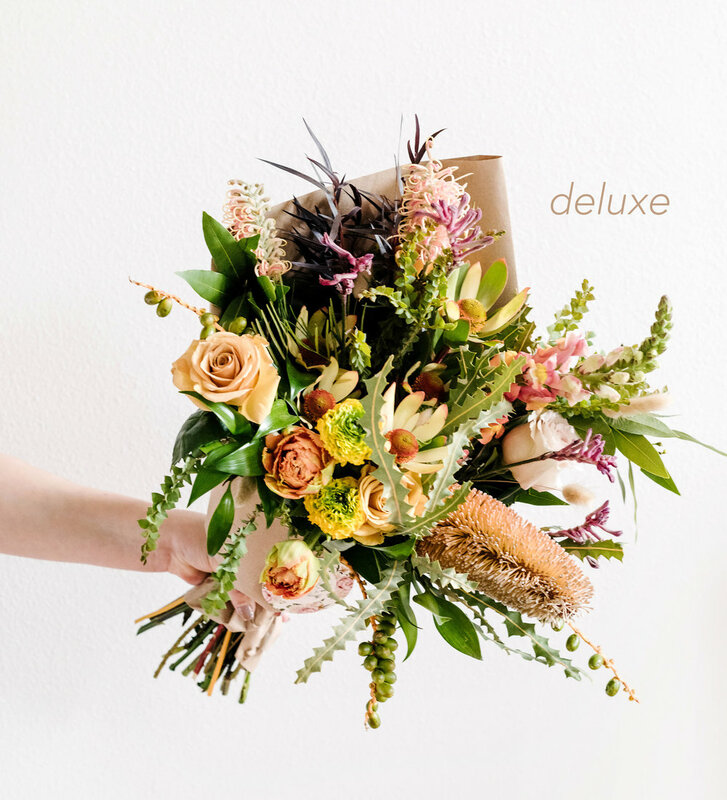 Personalize your arrangement with a 3x3 mini card designed locally by Gingerfresh Design. Select type of card at checkout. 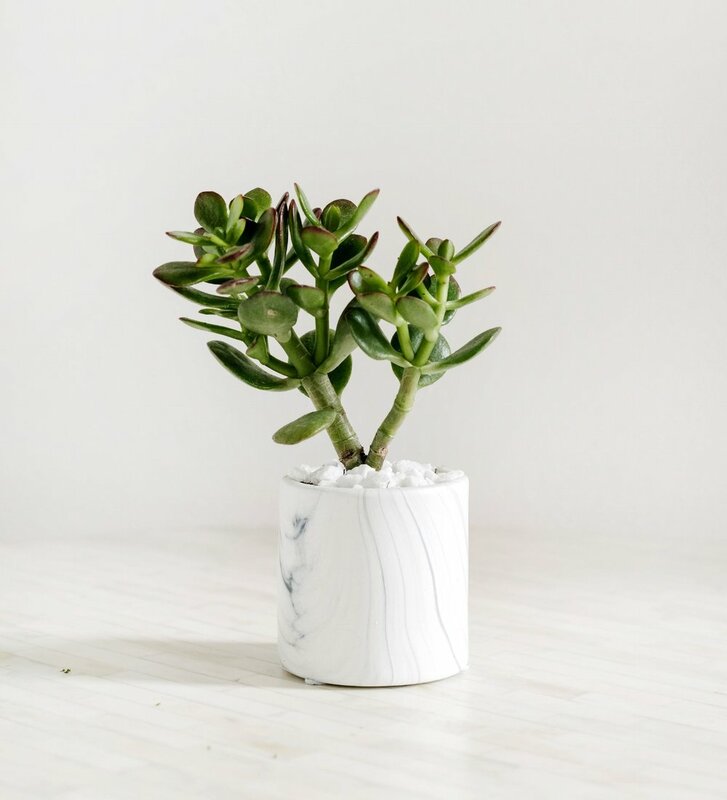 Our lush, potted succulents make great gifts. Easy care plants require minimal care and offer maximum cuteness! Pick up succulents are based on availability and will be unique to what is in stock. We cannot accommodate specific species request but assure you that our quality and containers are the best around. All succulents will come pre-potted, with appropriate soil, and care instructions. *Pictures shown reflect approx. sizes but are not an actual representation of color and succulent selection.